Payment Banks is new buzz word and talk of the town. Recently RBI gave approval of “Payment Banks” to 11 big companies including Reliance, Aditya Birla, Tech Mahindra, Airtel, Vodafone, Paytm, India Post etc. These companies can now establish Payment Banks as per RBI Guideline. 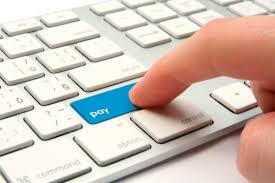 Payment bank is facility or services given to customer mainly for making payment. It is also called as PPI (Prepaid payment instrument). Payment bank is setup to increase financial inclusion, especially for remote or rural areas. This bank is likely to reach customer through a mobile phone. What Payment Banks can do? Payment Banks can enable money transfer through a mobile phone. Payment Bank can also offer services like utility bill payment, cashless purchase, cheque less transaction via mobile (Mobile wallet). Payment Bank can raise deposit up to 1 Lakh and pay interest on these balance. Payment Bank can issue a debit card which can be used across ATM bank networks. They can transfer money directly to your bank account using a mobile device or unit. They can offer forex services at lower cost. They can work for distribution of non-risk sharing simple financial products like mutual funds and Insurance products. What Payment Banks cannot do? Payment Bank cannot issue credit cards to a customer. Payment Banks cannot accept NRI deposit. These banks cannot give a loan to any customer. Payment bank can give a loan to the government in case of requirement. 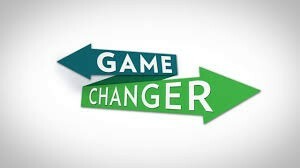 How Payment Banks can be Game Changer? Payment bank will convert your mobile phone into Virtual ATM machine. You will able to do the majority of the transaction using mobile. These Banks will bridge the gap between urban India and rural India in terms of banking. These banks are expected to increase the reach to the customer especially in the remote area where traditional banks cannot reach. These banks will use mobile technology to service the customer. The introduction of these banks will increase the competition. Due to increase in competition banking cost will come down. Currently, we are paying extra money for availing banking services like additional chequebook cost, minimum balance transfer, demands draft issue fees or extra ATM transaction fees. All these cost is likely to come down with an introduction of payment banks. These payment banks will enable a cashless transaction. It may so happen that over the period of time we may forget debit card and credit cards. This will remove the need of so many cash transactions. As this payment bank will reach up to remote area subsidy payment to poor in case of welfare scheme will directly reach to the account of poor and not to intermediates. Payment Banks will probably pay high-interest rate to customer and old 4% saving bank interest rate norm may go away. These banks will also help government to reduce black money transactions. As most of the transaction will take place cashless. These banks will likely to provide a unique experience and personalize services to individuals, which will enhance customer satisfaction.